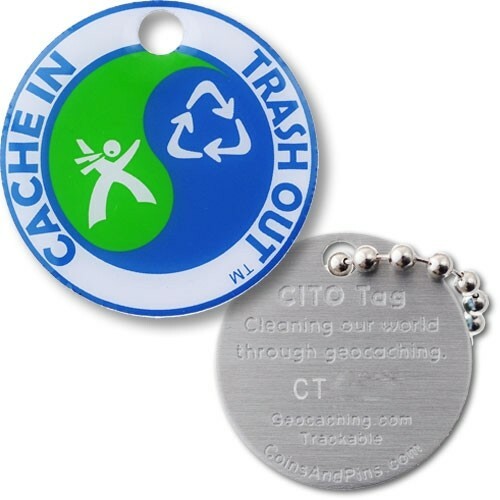 CITO Travel Tag: The CITO Tag signifies the ethic geocachers have to help clean our planet one cache at a time. CITO travel tag: The CITO tag signifies the ethic geocachers have to help clean our planet one cache at a time. Show your support and spread the word by setting this tag out into the wild to travel from geocache to geocache. This coin is trackable on geocaching.com.